An Eastern Mennonite University alumnus studying at the Yale School of Forestry and Environmental Studies has been awarded a scholarship to support his research on automated systems to reduce the waste of recyclable materials. Read more about James Souder’s preparation at EMU for graduate school. Souder graduated from EMU in 2013 with an environmental and social sustainability degree and minors in photography, biology and economics. This spring he will complete a master’s degree in environmental management at Yale with a specialization in industrial ecology and green design. Souder’s research “Closing the Loop and Increasing Material Recovery in Supply Chains and Production Systems” reflects his focus on innovations for waste management and pollution prevention. It involves embedding recycling information on or in products so that automatic sorting machines can reduce human error and ultimately divert recyclables from landfills. 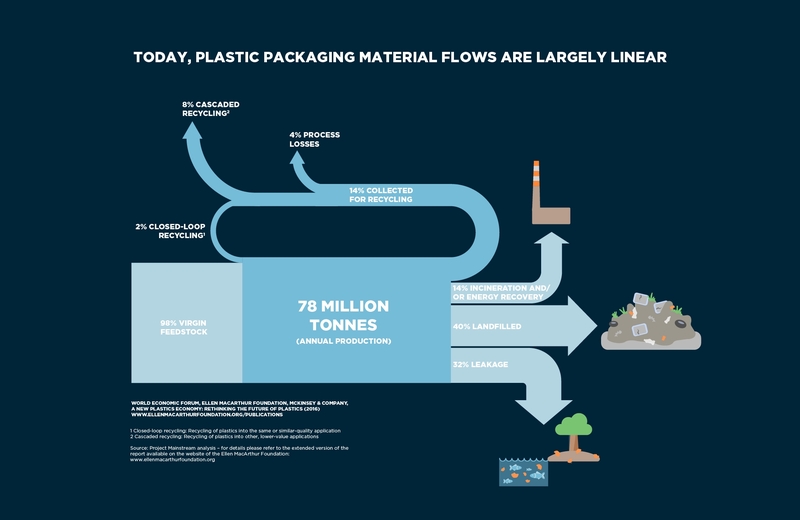 According a report from the Ellen MacArthur Foundation, only two percent of plastic packaging material is recycled into the same or similar-quality applications, and just eight percent more is recycled into lower-value applications. The rest is leaked to the environment, dumped in landfills, incinerated or lost to recycling processes. The topic arose during an earlier project that Souder was working on for a green engineering and sustainable design course at Yale, in which his group designed a prototype for a machine that would separate bar-coded recycling items. “We have a long way to go to improve our collection systems, focusing our efforts on waste streams that have the largest environmental impact throughout the product’s life, and designing our products so the materials can be easily separated and recovered,” Souder said. After graduating from EMU, Souder participated in the Pittsburgh Urban Leadership Service Experience program, and later deferred his acceptance into Yale to serve as a photojournalist in Burkina Faso through Mennonite Central Committee’s Serving and Learning Together program.